This is a 5 bedroom, 3 1/2 baths, lovely 2,485 sq.ft pool home situated in the prestigious West Haven community, with only a short 15 minute drive to the gates of Disney theme parks. 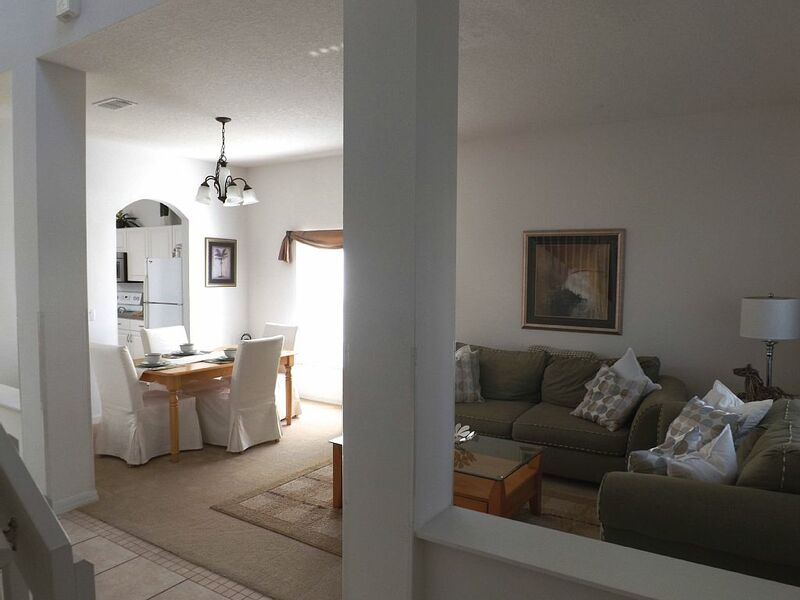 The home is fully furnished and equipped home with tvs in all bedrooms and wireless internet. This is the perfect villa for convenience and quiet relaxation. This villa has a large open-concept floor plan and is ideal for either two families or single families that like to spread out and relax. 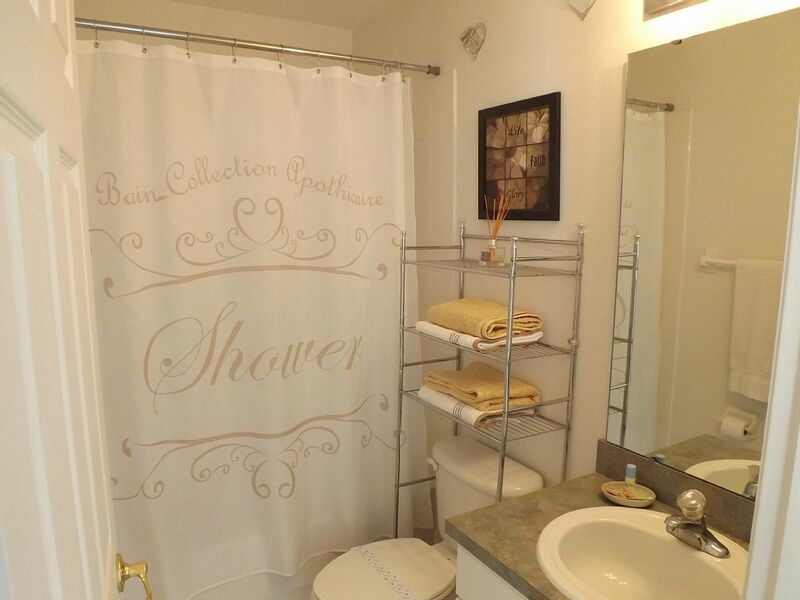 The home has a master bedroom with king size bed and an en-suite bathroom with two vanities. 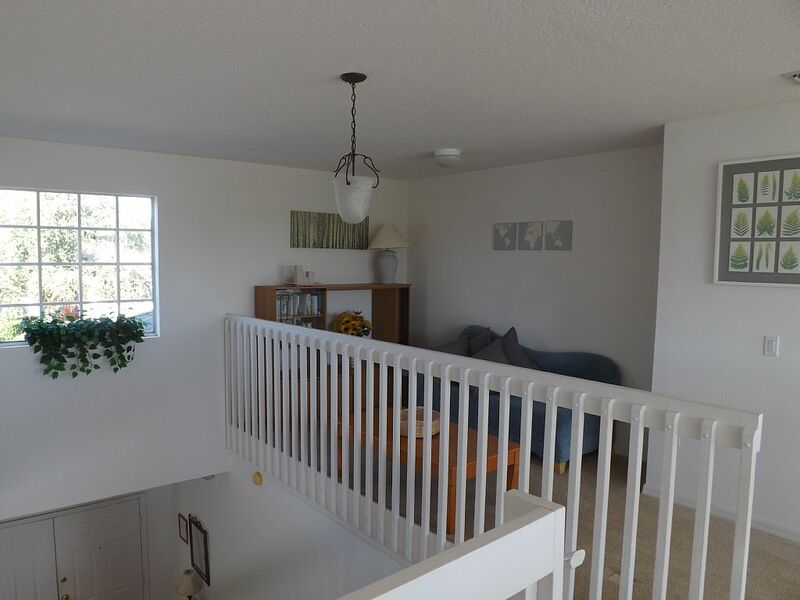 There are 2 bedrooms down stairs and 3 up stairs. 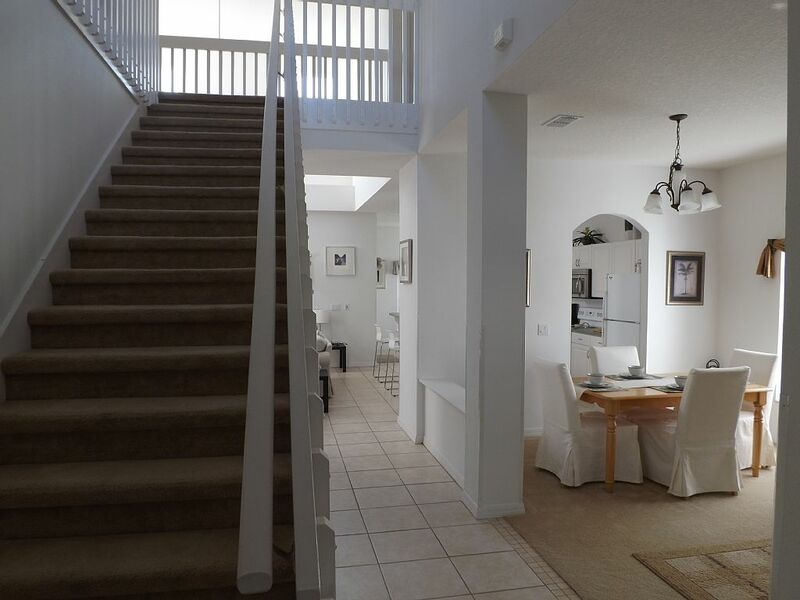 Moreover, there is a fantastic Game Room in this home that you would surely enjoy or hop on the wireless internet to stay connected, so bring your laptop with you. The games room for is pure entertainment for the young and old, it features a pool table, fooseball table and an air hockey table. Spend time as well at the home's private pool. This is a quiet gaited neighborhood with lots of green space to make you feel like your are a million miles away from the hustle and bustle and yet just minuets away from dinning, shopping and all the parks.